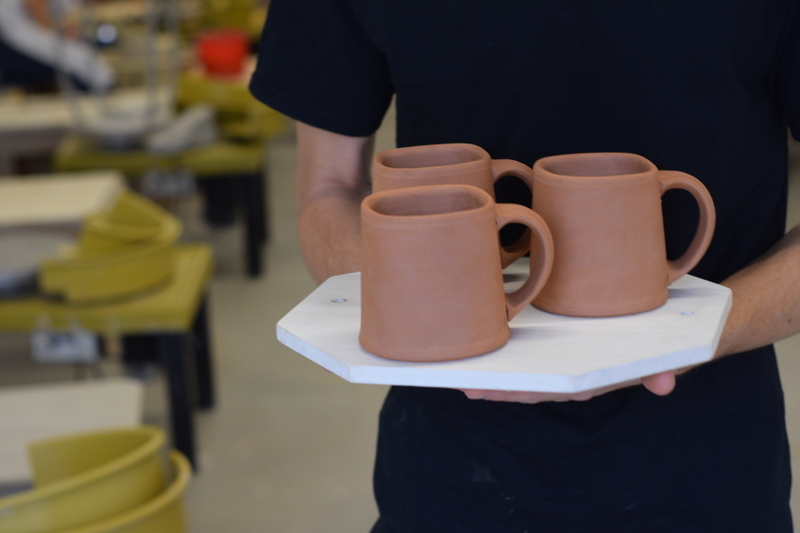 During his time in university, Michael Vangstad stumbled into the world of pottery almost by accident. He was born and raised in Ham Lake, Minnesota, and pursued degrees in history and social studies education at Bethel University in St. Paul. 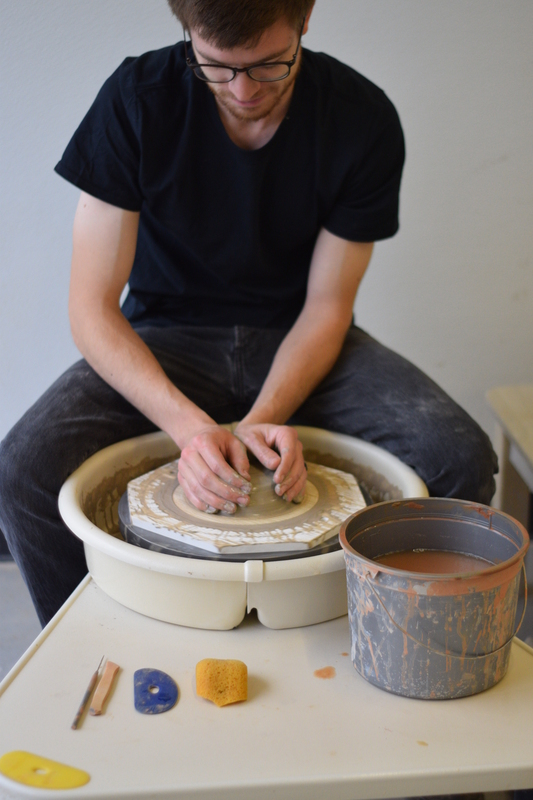 Needing to fulfill an art elective, Ceramics 101 seemed like as good a choice as any, and so his foray into pottery began. Due in equal parts to the surrounding influences of his teacher Kirk Freeman and his pottery peers, Michael developed a passion for clay and quickly discovered he had been missing out on the Midwest U.S. pottery scene in which he grew up. Since then, Michael has pursued pottery as an art form, a hobby, and a job. He primarily works with high-fire stoneware clays and attempts to emphasize the raw, natural look of clay as it is thrown on the wheel. Due to this, much of his completed work is left unglazed or with a thin clear coat on the outside to allow the clay itself to be experienced directly. When I first attempted pottery in 2015 I knew nothing about the craft and my knowledge of art in general was even worse. Upon completing my first ceramics class, however, I realized I never before considered art as a passion worth pursuing or even as a hobby. This opened new doors for me and helped me discover interests I never knew I had. To me, pottery is among a unique group of art styles in which completed pieces are both highly creative expressions of the artist’s ideas as well as highly useful objects. I love the intersection of art and utility that pottery enables one to experience in what can be seen as mundane, daily-use items such as mugs, plates, bowls, etc. To that end, in my work I attempt to create pots that are as visually and physically intriguing as they are pleasant to use. They probably won’t make your food or drink taste any better, but I hope they at least make it more fun.